Healthcare price transparency shifts care to lower-cost providers and saves consumers and payers money, according to a recent study from the University of Michigan, writes RevCycle Intelligence. The study found that costs fell by five percent for patients and four percent for insurers when consumers in New Hampshire had access to pricing information for magnetic resonance imaging scans (MRIs) before the service. 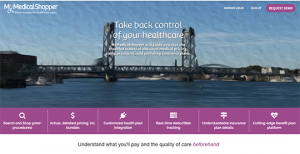 Researchers analyzed the impact of healthcare price transparency in New Hampshire because the state launched a website in 2007 that allows consumers with private insurance to compare healthcare costs and quality. In total, individuals saved approximately $7.9 million and payers saved $36 million on x-rays, CT scans, and MRI scans over a five-year period. By the fifth year, out-of-pocket costs for consumers were 11 percent lower. And individuals with deductibles saw almost double the savings during the period. Giving consumers access to the prices of certain services before care delivery shifted care to lower cost providers, the study showed.